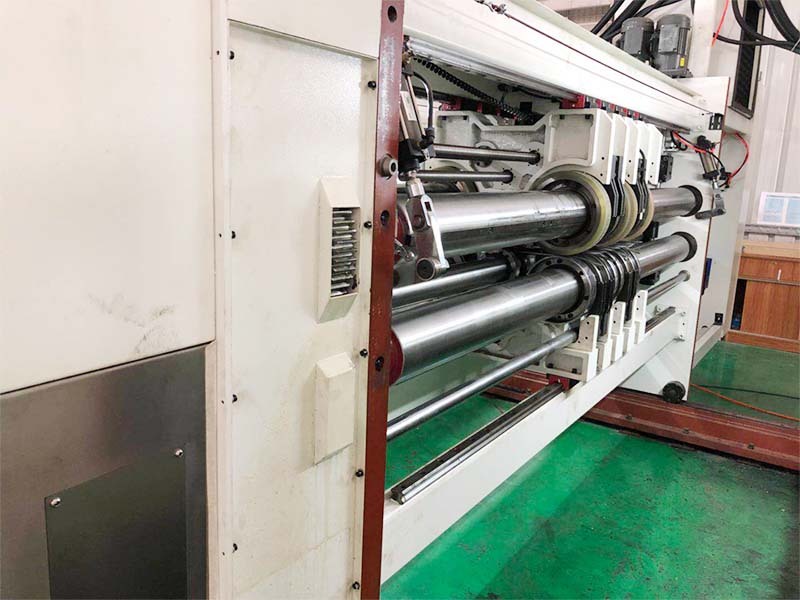 ·All gaps between cylinders and rollers are computerized and/or motorized control. 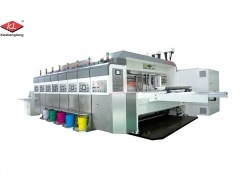 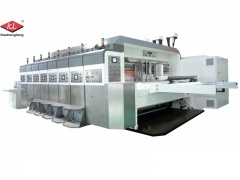 ·Vacuum transfer system used in all printing sections. 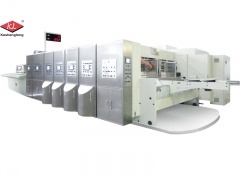 ·Able to facilitate the production management. 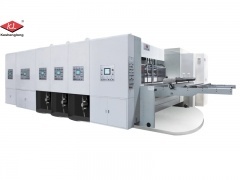 3.Satisfy the needs for exquisite printing in both sides, also be able to die-cut at the same time. 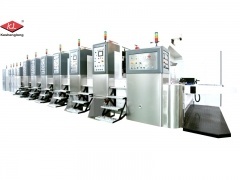 It’s specially suit for products that have personalized or anti-fake requirements. 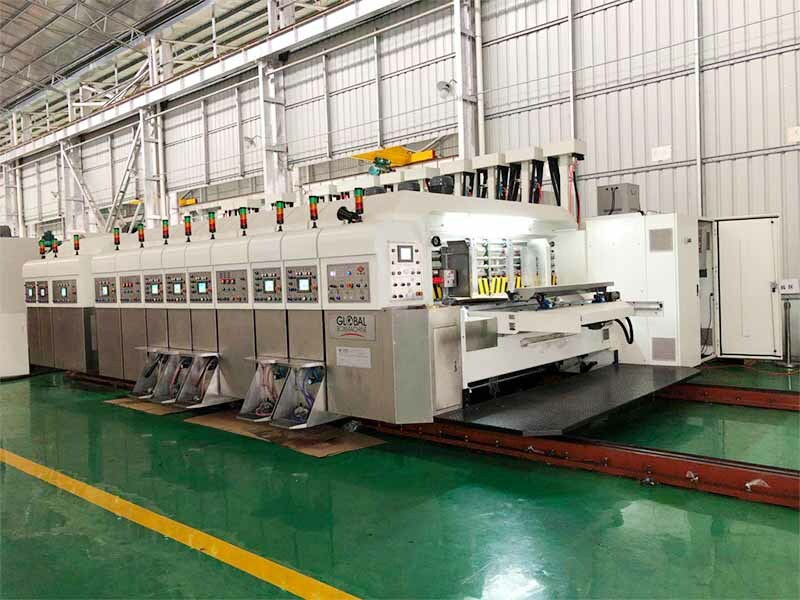 KESHENGLONG has a perfect Research and Development system, and owns a high level R&D team, leading capability of independent innovation, and complete producing, processing and manufacturing capability. 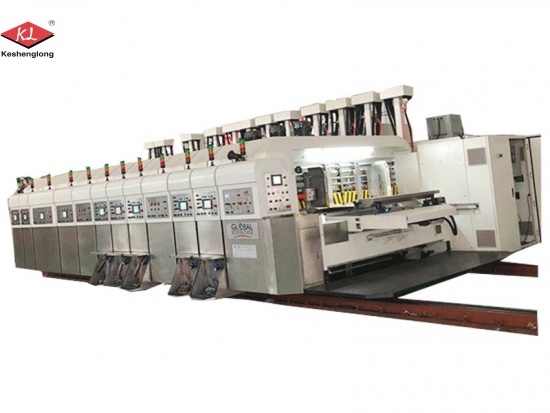 We has Full computer gantry boring and milling machining center, CNC pentahedron boring and milling machine, 5 meter grinding machine etc., more than 200 set of processing equipment. 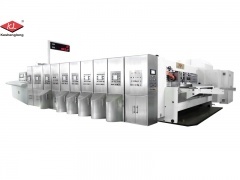 "6+1" high precision printing slotting die cutting machine, making a role of apple box making machine, egg box making machine etc. 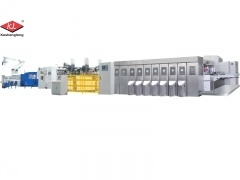 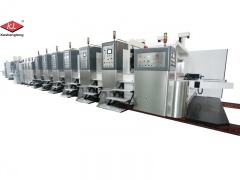 Flexo printing machine cardboard for printing 1-7 colors, and Model 7 occupies the advantage of both top & bottom printing at one time. 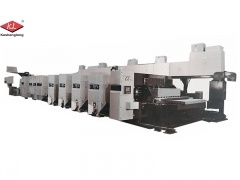 The structure of the computerized printing slotting die-cutting cardboard making machine is fixed and the cost is cheap. 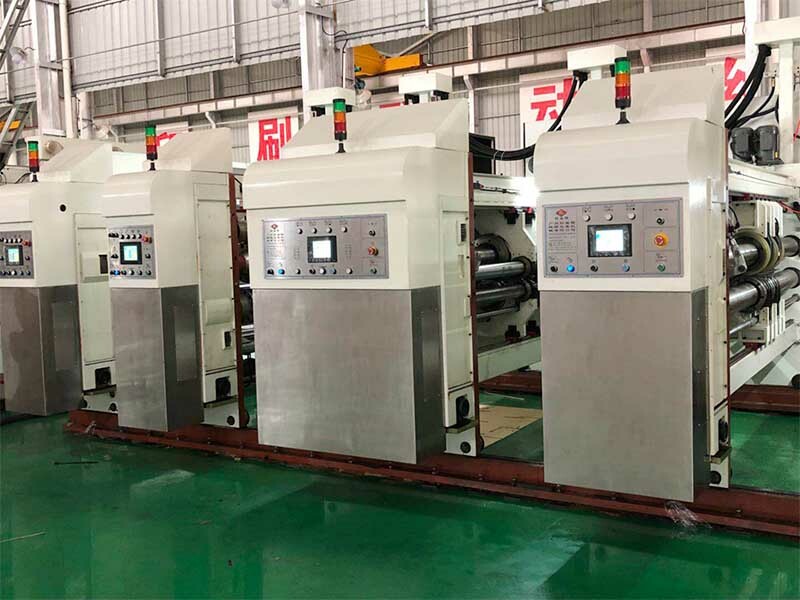 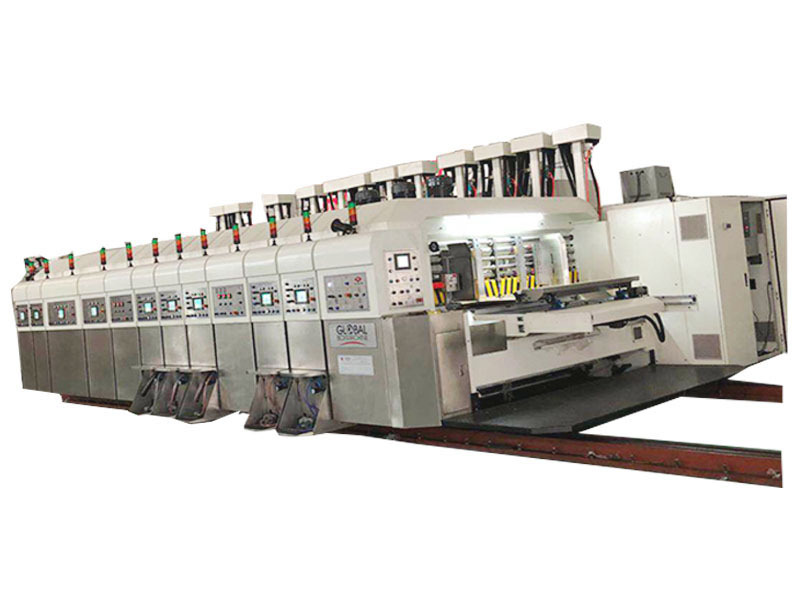 KL-Computerized printing slotting die-cutting in-line folding gluing countering ejecting machine of corrugated cardboard printing machine for fixed structure from Chinese manufacturer.